Indian servicemen found Russian weapons used in Indra very useful. The exercise will involve about 500 servicemen on both sides. A second round of consultations on planning the Russian-Indian war games Indra-2016 will be held in India in June, Col Alexander Gordeyev, the chief press officer of Russia's Eastern Military District said on Tuesday. "At the second planning conference that will be held in India, representatives of the Eastern Military District and the Indian Armed Forces will coordinate a calendar of the war games, the types and quantities of weapons and the procedure for the handover of arms, equipment and specialized technologies to the Indian army servicemen who will take part in the maneuvers," he said. 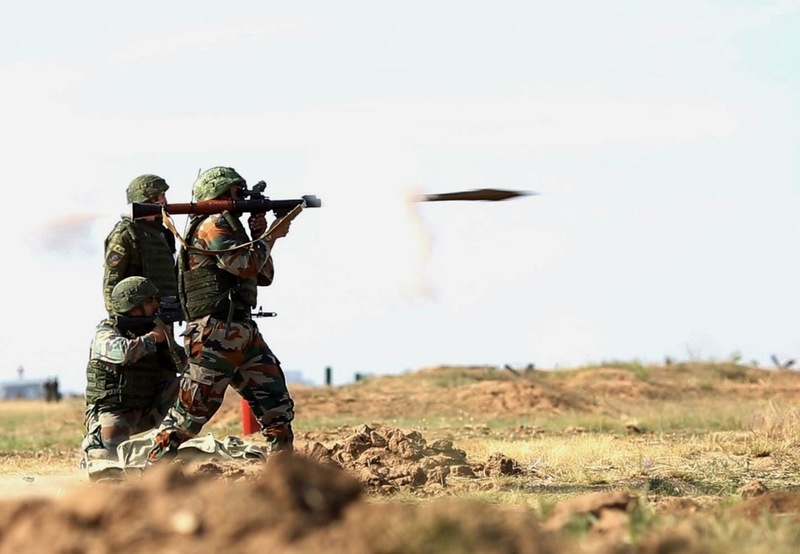 The Russian-Indian anti-terrorist exercise Indra-2016 will take place in the second half of 2016 on the Sergeyevsky training ground located in the Far-Eastern Primorsky (Maritime) territory. In the course of the maneuvers, mechanized infantry units of the combined-arms army of the Eastern Military District stationed in the Primorsky territory and India's Kumaon infantry regiments will practice the formation of a joint grouping of troops under a UN mandate and will simulate the planning and practical conduct of an antiterrorist operation. Russia will commit two mechanized infantry companies, as well as mortar, self-propelled howitzer and multiple-launch rocket system batteries, one in each case, air defence, reconnaissance, and chemical units. India will provide two company-level tactical groups. All in all, the exercise will involve about 500 servicemen on both sides, Russian defence officials said.